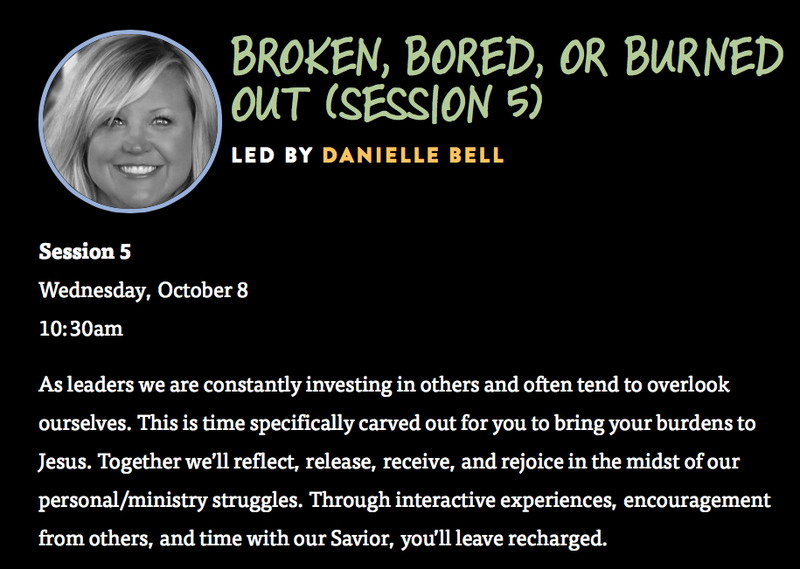 next week i get the privilege of leading three workshops at lifeway’s kids ministry conference. below is a list and description of my workshops. if you are going i would love to meet you. stop by, say hi, and let’s chat kids ministry. those folks will be so blessed to be with you!!! I will be praying for you as you share your passion and heart on these topics. All in attendance will be blessed by your enthusiasm and love for Jesus!! Miss you !